This story is part of an ongoing collaboration between ProPublica and FRONTLINE that includes documentaries beginning with Documenting Hate: Charlottesville, which aired on PBS in August 2018, and the upcoming film Documenting Hate: New American Nazis, which will air Tuesday, Nov. 20. Federal prosecutors on Tuesday announced they had arrested four members or associates of the Rise Above Movement, a white supremacist group, over their alleged role in the infamous 2017 “Unite the Right” rally in Charlottesville, Virginia. The four men were charged with having traveled to Charlottesville with the aim of inciting a riot and conspiracy to incite a riot, and prosecutors submitted an array of photographs and videos capturing the men pummeling and choking protesters over two days. If convicted, the men — Benjamin Drake Daley, 25, of Redondo Beach, California; Thomas Walter Gillen, 34, of Redondo Beach; Michael Paul Miselis, 29, of Lawndale, California; and Cole Evan White, 24, of Clayton, California — could face five years in prison for each of two federal riot charges. White has been described as an associate of the group, not a member. Most of the men charged on Tuesday have been the subject of reporting by ProPublica and FRONTLINE over the last year. RAM, based in Southern California, claimed more than 50 members in 2017 and an overriding purpose: physically attacking its ideological foes. Its members spend weekends training in boxing and other martial arts, and they have boasted publicly of their violence during rallies — not just in Charlottesville, but in the California cities of Huntington Beach, San Bernardino and Berkeley, as well. Many of the altercations have been captured on video. The charges announced Tuesday are among a number of prosecutions to stem from the notorious Charlottesville gathering that resulted in two days of mayhem and the death of a young anti-racism activist. The charges brought today are unrelated to the death. Local prosecutors have also brought charges against a handful of other participants in the Charlottesville rally, successfully convicting several men, including activists on both sides of the clashes. And federal authorities have indicted neo-Nazi James Alex Fields, the man accused of killing counterprotester Heather Heyer and injuring more than two dozen others, on some 30 charges, including 28 counts of hate crime. 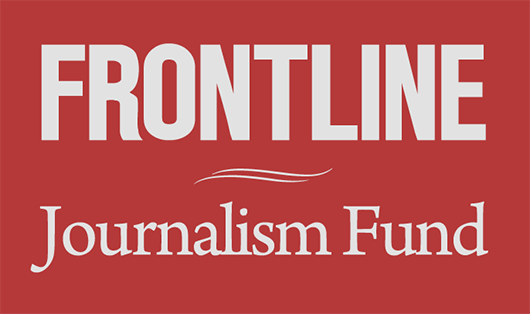 Cullen cited ProPublica and FRONTLINE’s reporting during a news conference Tuesday. “The news organization ProPublica did in my view a fantastic job in piecing together some of the organized activities that occurred on Aug. 11 and Aug. 12, and the work that they did was certainly reviewed by our office as a starting point to understand a little bit about this particular group,” he said. One of those arrested, Michael Miselis, was a doctoral student at U.C.L.A., with a U.S. government security clearance to work on sensitive research for a prominent defense contractor. He was let go by the contractor, Northrop Grumman, after ProPublica and FRONTLINE identified him as a RAM member who had attacked people in Charlottesville. At the time, Miselis denied involvement in the violent weekend two summers ago. RAM was founded in early 2017 by Robert Rundo, a Queens, New York, native who served an 18-month prison sentence for stabbing a rival gang member six times during a 2009 street fight. The group’s core membership is small — 15 to 20 young men, according to interviews and a review of court records. Before joining RAM, several members spent time in jail or state prison on serious felony charges including assault, robbery, and gun and knife offenses. Daley served seven days in jail for carrying a concealed snub-nosed revolver. Another RAM member served a prison term for stabbing a Latino man five times in a 2009 gang assault. A RAM recruiting video posted to YouTube and Vimeo highlights the organization’s heavy emphasis on violence, cutting between choppy footage of RAM members brawling at public events and carefully shot scenes of them sharpening their boxing skills and doing push-ups during group workout sessions. RAM members are frequently praised as heroes on some white supremacist media outlets. ProPublica interviewed one RAM leader last year on the condition of anonymity. He said the gang came together organically. It started when he encountered a few other guys with similar political beliefs, including two active-duty U.S. Marines, while exercising at different gyms in Southern California. They all liked President Donald Trump but didn’t think his agenda went far enough. On social media channels, RAM members regularly espouse blatantly anti-Semitic and racist views. They have repeatedly been booted from Instagram and Twitter for offensive postings. 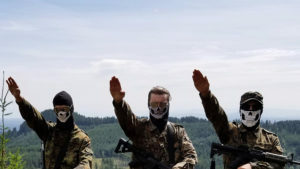 This year, four RAM members attended to a massive neo-Nazi rally in Germany, which was held on Hitler’s birthday, uploading photos and videos from the trip to social media. A criminal complaint filed in federal court Tuesday cited the group’s racist and anti-Semitic postings online in support of the arrests. Prosecutors said the four men will be brought to Virginia next week to be arraigned on the charges. It was not clear on Tuesday whether the men had yet retained lawyers. Cullen said that charging the men with inciting a riot and conspiracy to incite a riot was more appropriate and likely effective than arresting them on hate crime charges. Cullen said there are other ongoing investigations, but he would not say more about them. There’s a prosecutor in the U.S. Attorney’s Office who has done nothing else but look into these investigations since Aug. 12, according to Cullen.